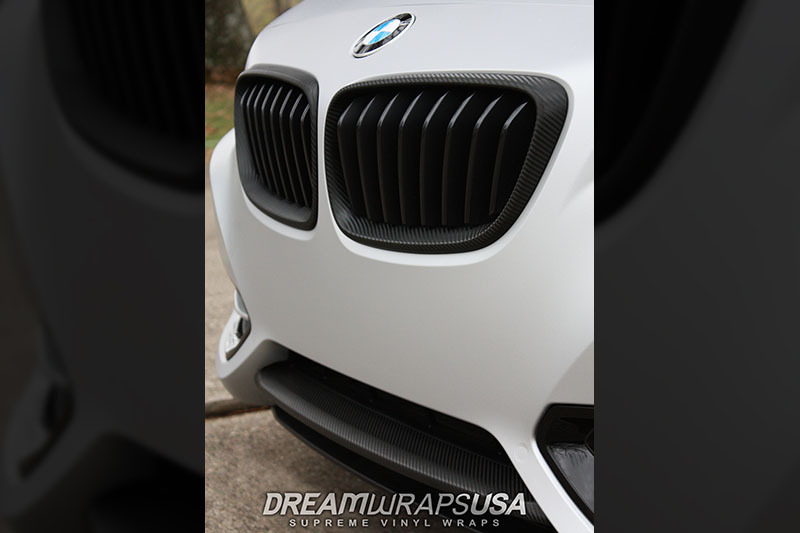 Another astonishing wrap from DreamWrapsUSA. 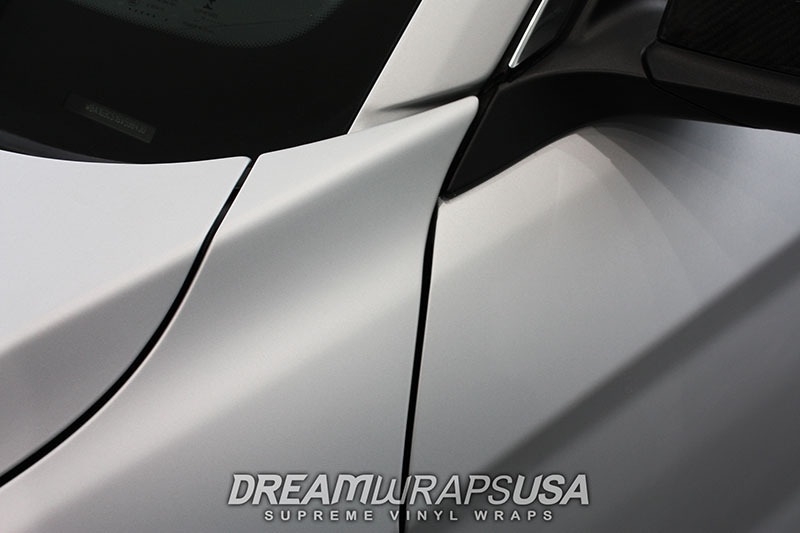 They laid down the Matte Silver Metallic vinyl perfectly representing paint to the highest extent possible, including complete door jambs. 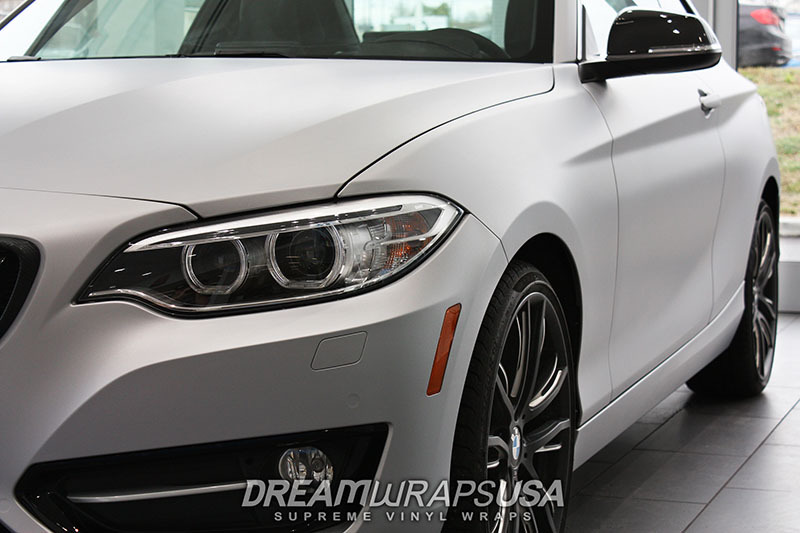 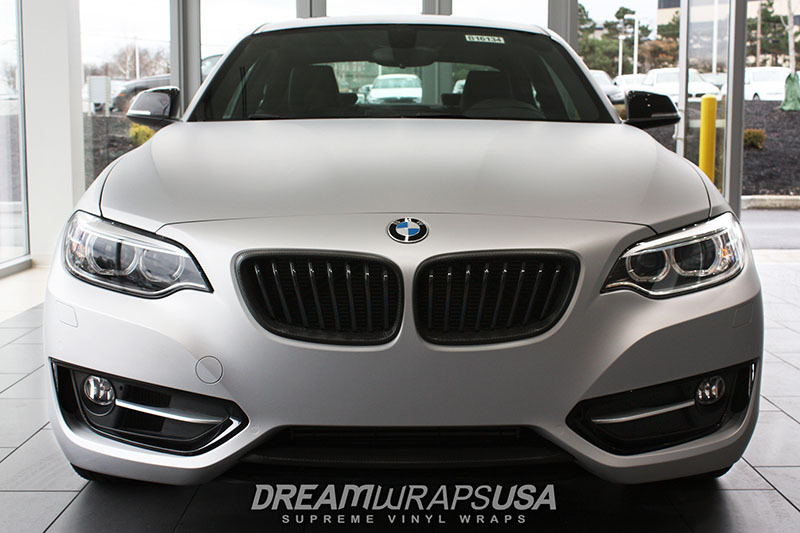 This full wrap on a brand new 2016 BMW 225xi was done to mimic the notorious Frozen paint option offered by BMW on their higher end M vehicles. 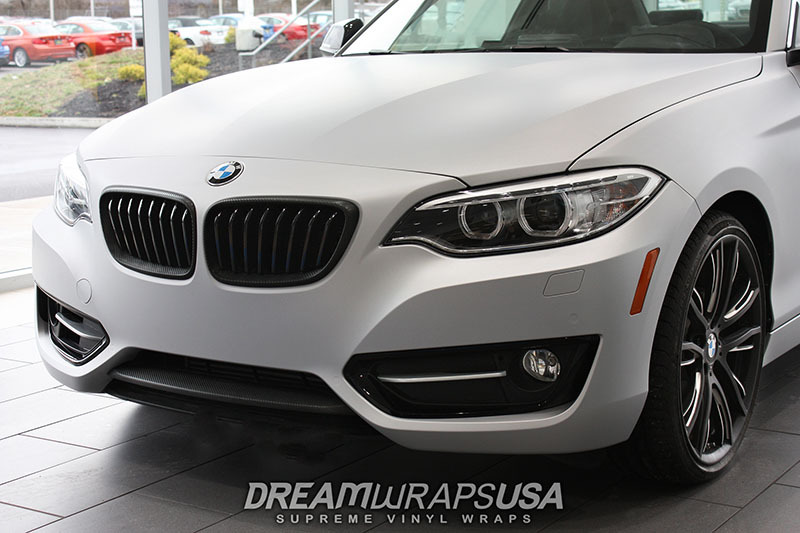 Not expected to last long at the dealer but can be seen front and center on the showroom floor of Jake Sweeney BMW Cincinnati North dealership. 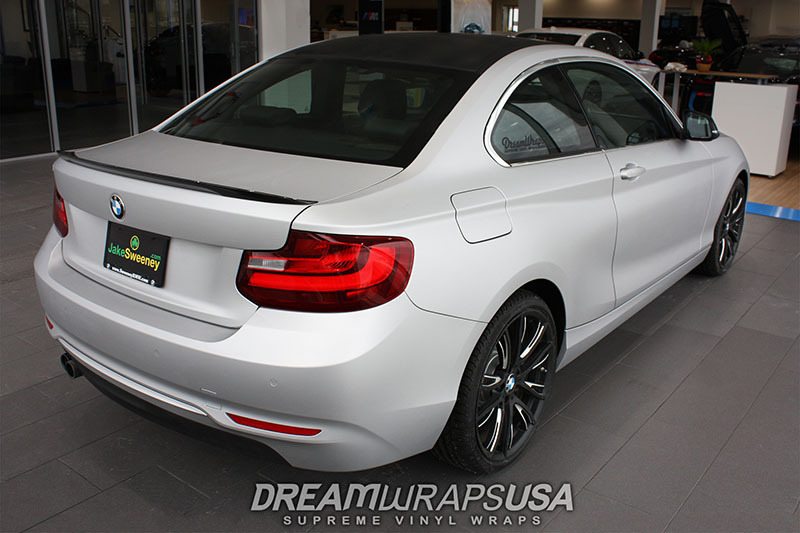 Paint underneath is gloss black.